UPC: 17141032142 Product Features Model # MX-V Superior value yet economically priced Breakthrough design is tough enough and big enough to handle a wide variety of animals Designed with the safety of the operator and the animal in min Standard Features Left-hand control operation Single side exit "Easy Action" vertical lift tailgate Double-side squeeze Double-side Drop-Down Side Bars Drop-down Sheeted Side Panel Double-Side Bottom Floor adjusts from 7"-17" (9 settings) to accommodate a wide variety of animals 1000 lbs capacity Includes CL-5 Self-Catch Headgate -Item # 60110202	Qty. 1 Optional Features MXV chute trailer Palpation A.I. 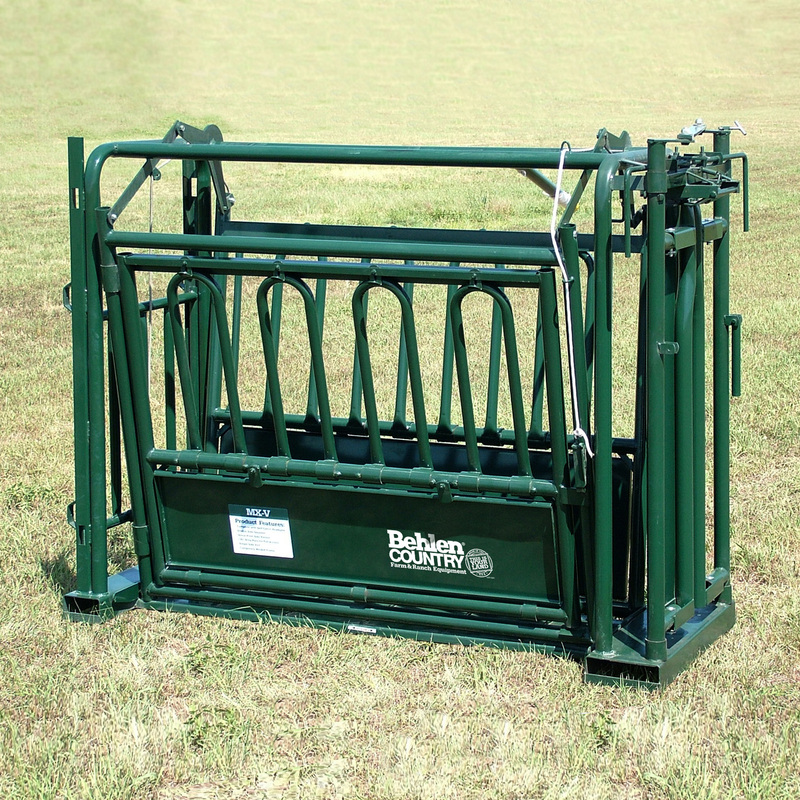 Cage Technical Specs Weight: 740 LBS Height: 76 7/8" Length: 97 5/8" Width: 39"